New and now Available! 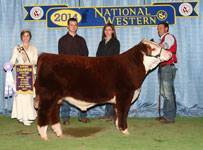 Already named reserve calf in both Denver and Fort Worth, Reuben comes from truly royal lineage. 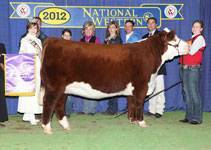 His dam was a Denver and Fort Worth National Champion and his Grand Dam won the 2008 Junior National. 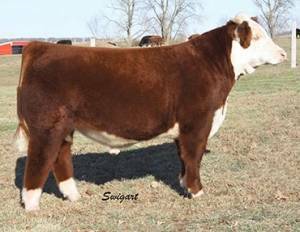 Add to that, his sire was the Canadian National Champion and his Grandsire did the same in the U.S. We will use him on heifers. Expect big things from this up and coming young horned sire.